Southeast Asian analysts and business leaders feel the diminishing influence of the United States and the growing power of China, according to a survey by the asean Studies Center at the iseas-Yusof Ishak Institute published on January 29. When asked about the reliability of the U.S. as a “strategic partner and provider of regional security,” more than 68 percent expressed doubts. Of them, over 9 percent said they had “no confidence,” 25 percent had “little confidence,” and another 33 percent were “unsure.” In a related question, nearly 60 percent of respondents said that the U.S.’s “global power and influence” have either deteriorated (45.6 percent) or deteriorated substantially (13.5 percent). The survey also found that America’s strategy to contain China’s rise through the Indo-Pacific concept is not viewed as a success. The majority (61.3 percent) of those interviewed think that the concept is “unclear and requires further elaboration.” Overall, 74.6 percent of the respondents do not think that the Indo-Pacific concept contains China. The poll also showed that many Southeast Asian nations are acutely aware of China’s growing military and economic clout. More than 70 percent of those interviewed said China has the most influence economically in Southeast Asia. Almost half said China has the most influence politically and strategically. As the U.S. retires its leadership role in the region, an increasing number of Southeast Asians are wary of who will fill the void. 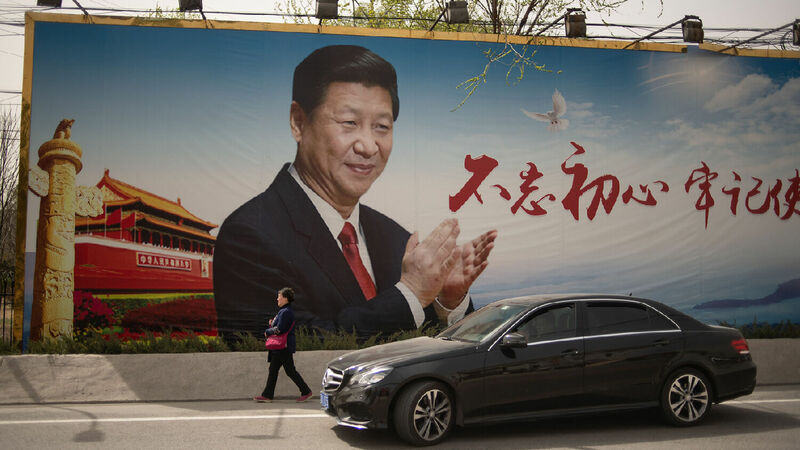 Three out of 4 Southeast Asians believe that China will replace the U.S. as the new regional leader—others considered the European Union, India, Japan and Russia as possibilities. A strategic battle between China and the U.S. has ensued in the Asia-Pacific. More than two thirds of Southeast Asian respondents believe China and the U.S. view each other as competitors. Sixty-two percent are worried that asean is “becoming the arena of major power competition” between China and the U.S.
With other Asian nations joining in, you quickly reach combined populations of 3.5 to 4 billion people! Under extreme circumstances like those described in these end-time prophecies, it is not hard to imagine 1 in 10 or 20 people going to war. Bible prophecy indicates that one of the main catalysts for this Asian combine is, as the asean Studies Center survey highlighted, the deteriorating influence and power of the United States. In Leviticus 26, God outlines the blessings ancient Israel and its descendants would receive if they obeyed God and the curses if they disobeyed. Verse 19 states that God will break the pride of Israel’s power. One of the modern-day nations descended from ancient Israel is America. (For proof, request your free copy of Herbert W. Armstrong’s book The United States and Britain in Prophecy.) A quick look at America’s wartime history after World War ii shows that God has indeed broken the pride of America’s power. The once great superpower that many Southeast Asian nations revered has lost the will to defend its allies from China.